Clarkia bottae puts on a great show in the late spring but I think all of the clarkia's do that. It can be found in the Sespe watershed in Ventura County. 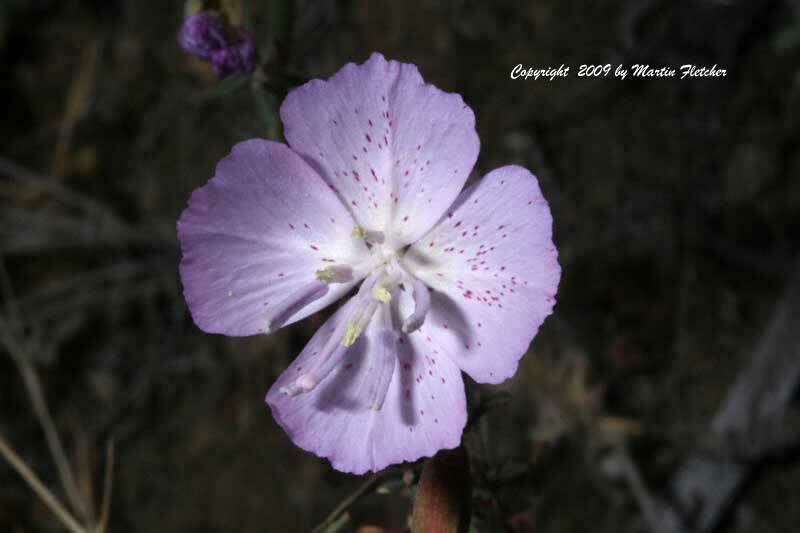 Clarkia deflexa has been lumped in with Clarkia bottae in the new Jepson Manual. They range from 6" to a foot tall the blooms are about 1" across often with several to many blooms to each plant. This photo was taken in early June. I spread wildflower seeds in November with the first rains. The Clarkia genus is pretty dependable from seed. Flowers and foliage of Clarkia bottae Punch Bowl Godetia. High resolution photos are part of our garden image collection.